I made this bread tonight. Made the preferment while I took a nap after work, mixed the dough before I went to the health club, and baked it while I ate dinner. Beautiful, delicious, and easy to make. And it is, of course, made with 100% whole wheat flour. Honey-oatmeal. I've posted this recipe--and variations of it--before but not in a while. It's one of my favorites and one I make often so I thought I'd re-post it. Separate the ingredients into two bowls using this ratio: In one bowl combine 4 cups of flour, two cups of oatmeal, the wheat gluten, and 2 ½ cups of water; stir until just combined. In the second bowl combine the remaining 2 cups of flour, 1 tablespoon of yeast, and 1 cup of water; stir until just combined. Cover the bowls and allow the ingredients to rest and begin fermenting for at least an hour, but up to 12. Then combine the contents of bowl bowls into the bowl of an upright mixer fitted with a dough hook. Add the remaining tablespoon of yeast, along with the olive oil, honey, and salt. Knead the dough on medium speed for about 8 minutes, then cover and allow to rise for one hour. Transfer the dough to a work surface, cut it into two or pieces, gently shape it into loaves. Dust the counter with extra oatmeal and roll the loaves in it, gently pressing oatmeal into the surface of the raw dough. 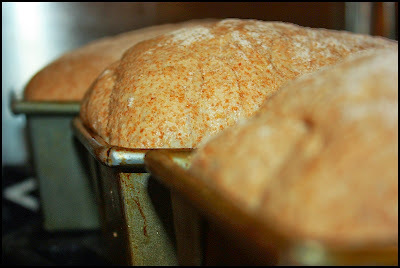 Place the loaves into oiled loaf pans, cover with plastic wrap, and allow to rise for 45 minutes. Preheat an oven to 425F. Bake the bread for about 30 minutes, or until golden brown and sounds hollow when tapped on. 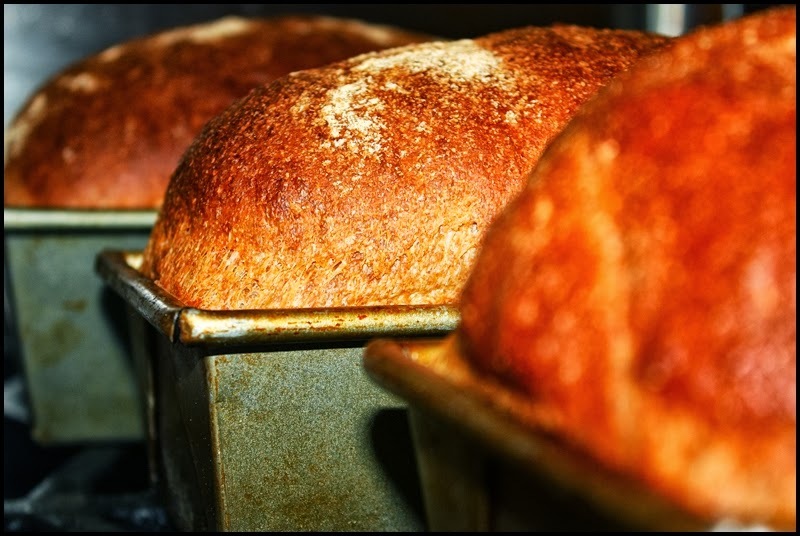 Remove the bread from their pans and allow to cool for 10 minutes before slicing.